Restoring an old tractor is a major project that should not be undertaken without careful research. If you are mechanically inclined enough to rebuild a lawnmower engine, you can restore an old tractor. You will need plenty of time to research what the tractor needs, find the parts and then do the actual restoration work. Determine the make and model of the tractor. If the tractor is rusted and no longer clearly marked, look at pictures in books or online (see Resources). Start and run the tractor if possible. Even a poorly running tractor will tell you a lot about what kind of work it requires. If it no longer runs, disassemble the tractor and determine what is missing, broken or worn out. Decide how extensively you will need to restore the engine and how much work the body and sheetmetal will require. Make a list of the parts and supplies you will need. Finding everything you need may take considerable time, depending on the age of the tractor. Subscribe to or buy an antique tractor magazine (see Resources). The ads in these magazines are your best source for parts. Also visit the websites of tractor parts suppliers (see Resources). Visit the appropriate tractor dealer. 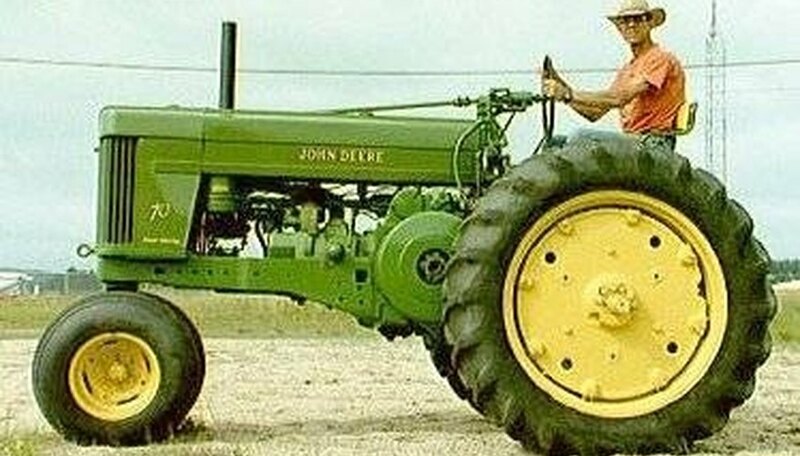 For example, John Deere dealers still stock and sell many parts for their older tractors. Post want ads online. You can post ads for free or at a nominal fee at most of the antique tractor collector websites (see Resources). Break the project down into small jobs that are easier to manage. Begin work on more than one of these jobs so that if you are waiting for a part for one, you can work on another in the meantime. Attend tractor shows or join a tractor collector's club. Your best resource for help is people who have already done what you are planning to do. Read a book about tractor restoration (see Resources).